Elin Høyland’s series The Brothers is an intimate portrayal of the relationship between Harald and Mathias Ramen, two brothers who lived together on a small farm in Tessanden in rural Norway. In her work, Høyland chronicles a way of life that has almost entirely disappeared. 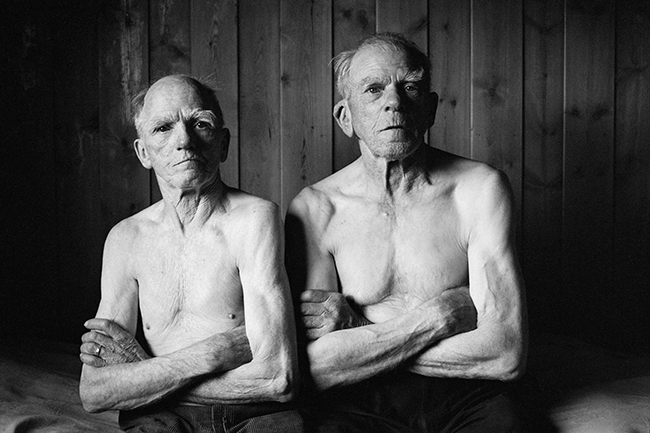 Mathias and Harald lived all their lives on their family farm. Their days followed a predictable and comforting routine with little change from year to year. Høyland’s photographs witness the incredible sense of belonging and routine the brothers savoured, while simultaneously illuminating the greater sense of solitude found in rural Norway. A Ffotogallery project, presented as part of European Chronicles, funded by the European Cultural Foundation and European Commission.